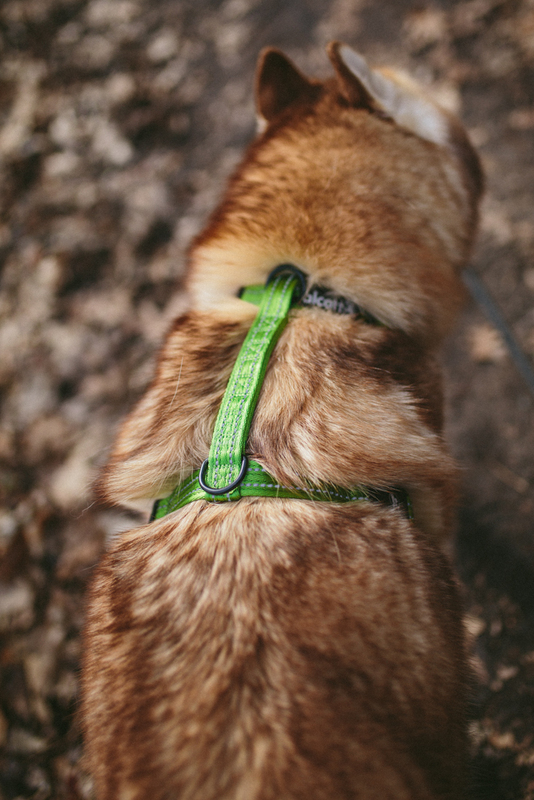 Harnesses: the essential gear for the active dog. 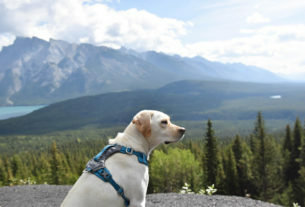 Anyone who has a dog that hikes tends to have a harness for their pup. But there are so many different designs out there it can be difficult to determine which would be best for your pup. 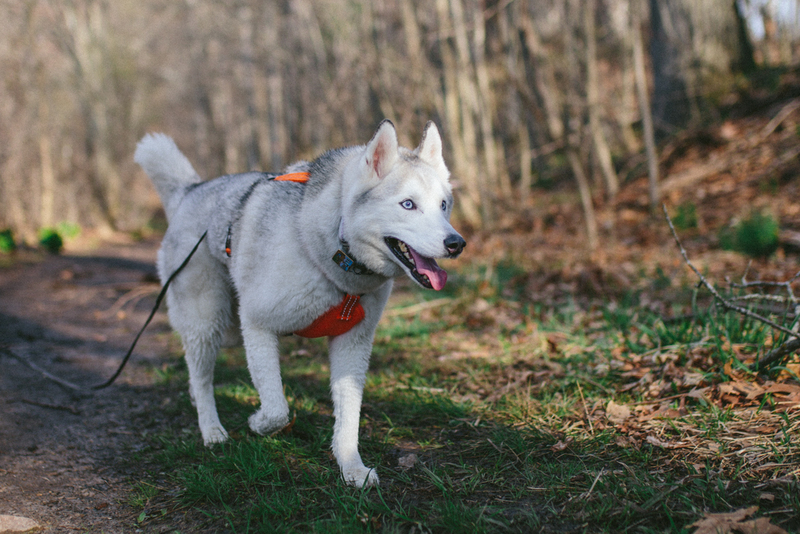 We had the opportunity to test out the Alcott Adventure Harness and got to see how it matched up against the variety of other harness we’ve tried and used. 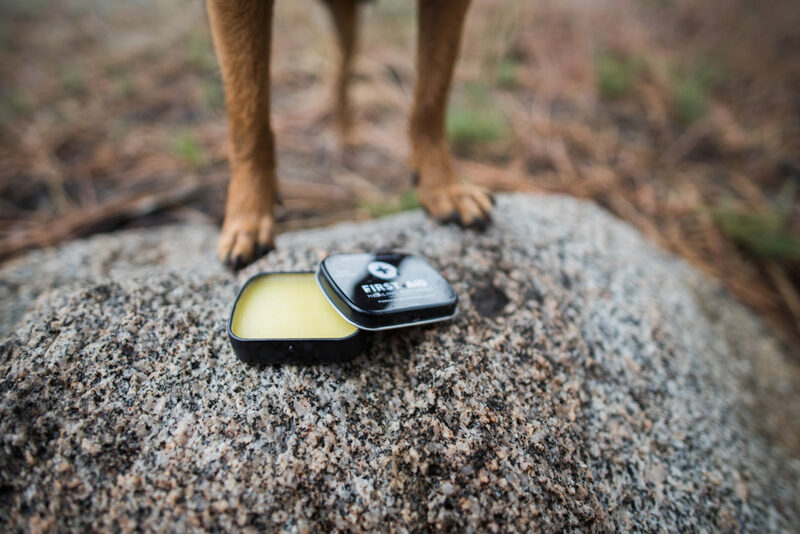 It was taken on several of our shorter half-day hikes, through the mud, and into the water, along with being worn during some rough play while on the trails. We tested the size large harness on both Ellie, who is 38 lbs, and Atlas, who is 47 lbs. The measurements taken on Ellie & Atlas were based on their girth (widest part of their ribcage), and neck, while the harness measurement calls for a waist measurement instead (just behind the ribcage). Alcott recently updated their sizing chart to better reflect where the measurements should be taken meaning that Ellie and Atlas should have had a medium instead of the large that the original sizing chart indicated. As a result, we did have some issue with the harnesses being too big for them. Sizing-wise, there is no overlap in the measurements on their website, and with certain measurements there is actually a gap between the two sizes. Being that the harnesses were too big as a large, they likely would’ve fit better if there was some sort of overlap, as they were tightened as much as they could go, but still too loose. In addition, when I measured the actual harness on its most snug fit, it measured in at 29”, whereas on the website it gives 27” as the smallest, so the harness itself does run slightly large. As far as design, the minimalistic fit is great for keeping your pup cool, and perfect for dogs who are constantly in and out of the water. Most harnesses on the market tend to have a lot of coverage over their back and chest, which can actually create some skin problems in water-loving dogs, while the Alcott Adventure Harness simply as one strap over the spine, one around the waist, one around the neck like a collar, and a mesh chest panel. The mesh chest panel allows for a lot of airflow, which helps keeps both harness and dog drier than most other harnesses on the market. The way the harness is put on is pretty ingenious as well. 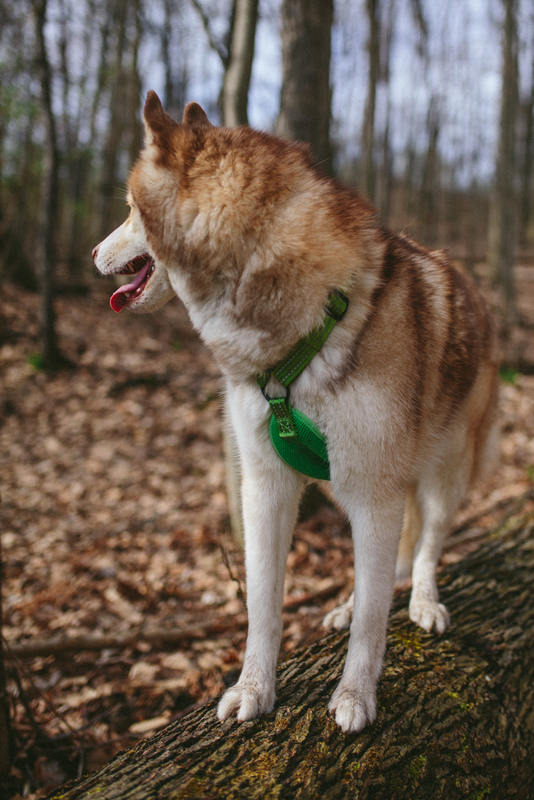 There are several different clips that allow for you to put the harness on like a collar to start, then slide the waist strap through the strap that goes over the spine to prevent having to pull your dog’s leg through a hole. The first time I tried using the harness, however, it was a little confusing as there are so many straps that can come unbuckled and undone, but once you get the hang of how it gets put together, it’s pretty easy, and convenient. One smaller feature of the harness is that it has two sturdy D-rings instead of just one as most other harnesses do; one on the back of the neck, and on the back of the harness. It also features reflective stitching throughout, which is of course great for any night-time hiking. Last but not least is the fact that the harness is available in so many colors, from black, to blue, to red, to neon orange, and more. The cost of this harness is also a big draw-in; at only $19.99, it’s a great option for something a little more affordable, while still getting the comfort of a harness. For our huskies in particular, I didn’t find the harness to be the best option in terms of functionality in our lifestyle. 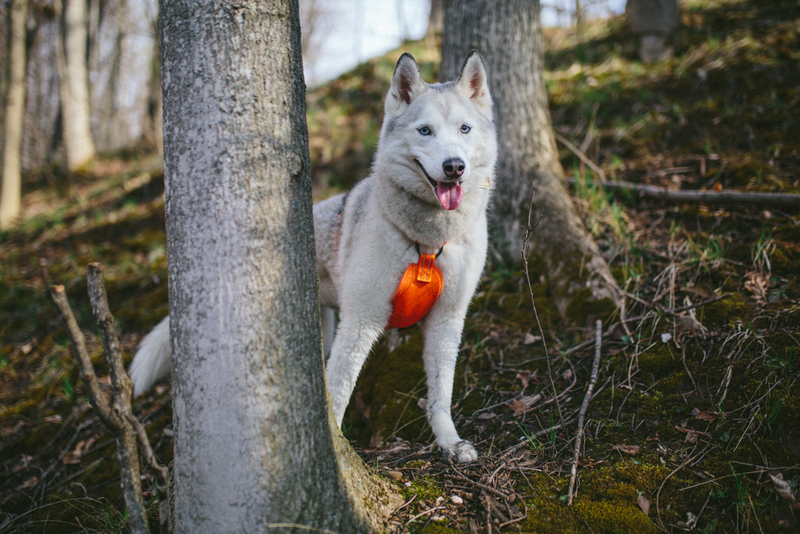 The sleek, minimalistic design would be better suited for a dog that is allowed to be fully off-lead where there is no tugging on the D-rings from being on-lead, shifting the harness from one side to the other. Ellie & Atlas are almost always at least dropped-lead, which creates a very slight, but constant tug on the harness, which leads to the harness shifting and creating an awkward and likely uncomfortable fit. A better fit with a medium could also reduce this issue, but I don’t think it would fully eliminate it solely due to the minimalistic design. 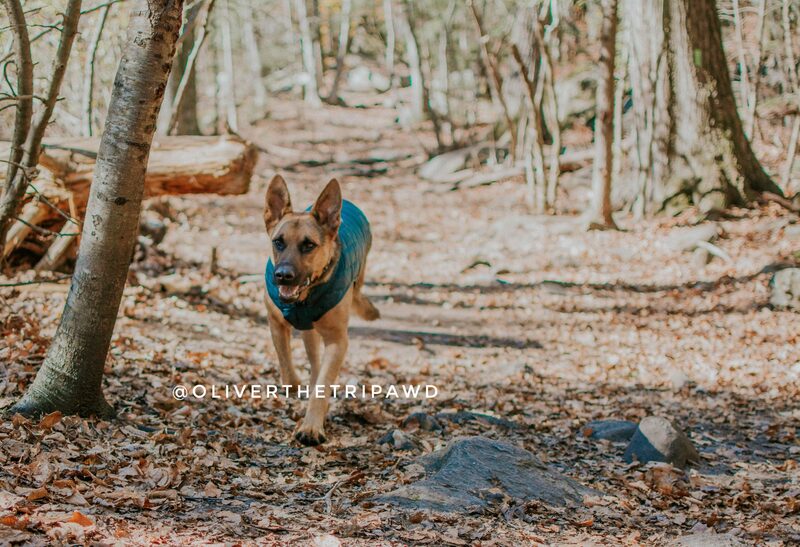 While I actually think the concept and design of this harness is great, it seems like it would simply be better suited for smaller dogs, and dogs who are constantly off-lead, or as a quick transition harness when in need of a more affordable one. My only major suggestion is to consider altering the sizing options and/or how the harness itself is adjusted; I would most certainly adjust sizing so that it’s more accurate, and provides an easier way for owners to select the size they need. This harness would work best for: Off-lead dogs, potentially smaller dogs, those who are looking for a more affordable harness, while still keeping some great benefits.